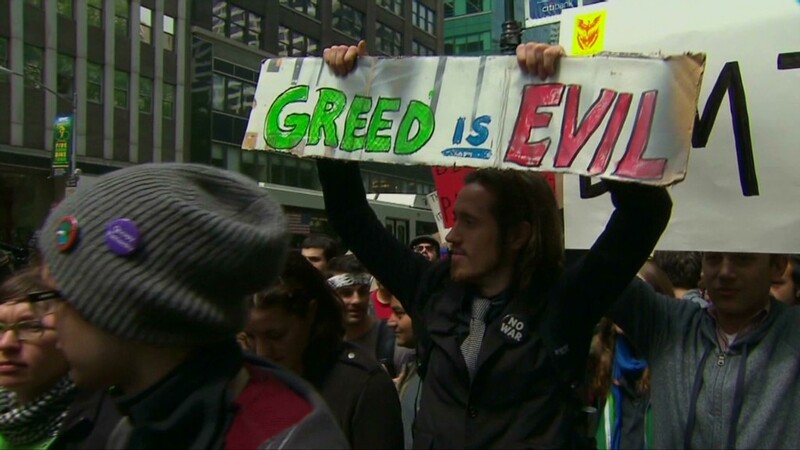 More than 100 protesters were arrested in New York City on Monday, as they marked the anniversary of Occupy Wall Street. The New York Police Department said that by 6 p.m. ET, arrests totaled 182, mostly for disorderly conduct occurring at multiple locations in Manhattan. Gideon Orion Oliver, president of the New York City Chapter of the National Lawyers Guild, told CNN that his chapter is providing "legal support" to the protesters. Legal observers are present at the protests, gathering the names of the arrested and providing a legal hotline for protesters to call. One of those observers was arrested, according to Oliver. Disorderly conduct arrests are classified as violations. They're equivalent to a parking ticket and less serious than a misdemeanor. The protests mark one full year since hundreds of protesters descended on the nation's financial center and kicked off a nationwide social movement. Organizers are marking Monday's anniversary, dubbed "S17," with scores of events and demonstrations. The main focus is again in New York, where the planned S17 events include a bike ride in lower Manhattan, a "people's wall" picket line at the New York Stock Exchange, and an anniversary concert featuring Tom Morello of Rage Against the Machine. The S17 gatherings may reunite members of the Occupy movement, which organizers say has evolved into somewhat disparate "affinity groups" focused on specific ideals: A debtor's revolt, a push to "get the money out of politics," a call for a reformed healthcare system. "Media love to say that Occupy is dead, but the only thing that's really dead is that original encampment model," says Kalle Lasn, the editor-in-chief of Canadian magazine Adbusters. His activist publication hatched the idea for Occupy Wall Street and put out a call for participants back in July 2011. "It's changed from Occupy Wall Street to Occupy Main Street, in that a whole bunch of little things are happening all around every day," Lasn says. The movement is using some of its cash stash to fan the flames. An Occupy Wall Street finance group collected $600,000 in tax-deductible donations in just two months last fall. Former group member Pete Dutro told CNNMoney that about $30,000 to $40,000 is left in that general fund, and that many donations are now being sent to specific cities or affinity groups. Some of Occupy's early organizers remain heavily involved, but for others, life has begun to get in the way. Mark Bray has spent the year balancing his work as an Occupy spokesman with classes for a history Ph.D. at Rutgers University. He began scaling back his Occupy work this summer as he prepares to leave for a nine-month stint in Spain through the prestigious Fulbright Program. "The way I looked at it was, these books will still be sitting on the shelf when [Occupy] is done," Bray says of his academic work. "Social movements like this come around so irregularly that I needed to get as much out of it as I could. I'm very happy that's what I've been doing, and now someone else will step in to take my place." Bray was able to juggle his Fulbright plans in order to attend the S17 events. He leaves for Spain three days later, and beyond that, the future is unclear. He plans to get involved where he can while abroad, and hopes that the U.S. movement will still be alive whenever he returns. "We got big before we had done the normal kind of organizing that precedes media organization," Bray says. "When the cameras disappeared, some people got disheartened. One of the challenges has been to get young people involved, and help them understand it has to be a long-term process." One of those long-termers is Marisa Holmes, 26, who got involved with Occupy Wall Street as an organizer and media liaison from day 1. She says she's more passionate about it than ever before. "A year ago, planning for September 17, I was balancing Occupy with a life: a full-time job, going to school," Holmes says. "Now, I've scheduled my life around these activities. The movement is my life. It's where I find the most fulfillment." Holmes has changed her education plans in order to focus more on Occupy. She scaled back her course load at Hunter College, where she is in her second year of classes toward an M.F.A. in integrated media, and hopes to complete the program in another year. "Nothing's changed in the past year as far as fundamental changes to the economic system, so there is still work to be done," Holmes says. "I was involved last September 17th, I'm involved this September 17th, and I plan on keeping it that way for a lifetime." Aaron Smith of CNNMoney and Leigh Remizowski of CNN assisted with this report.